Wear ear buds (I believe it has solfeggio and isochronic tones.). Align your spine (stack the vertebrae). Play through the video once (optional). Watch the video as you sing along. 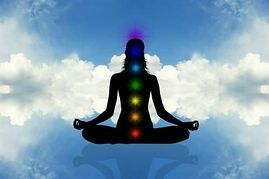 Try to hold the specific color in your mind as you are aligning each chakra. Visualize the symbols as if they are each chakra (optional and more advanced). Take a deep, lower lung, breath before singing each tone. You will sing the tones with the guide on exhale. If tones in the video do not cause you vibrations at each chakra... Play with each tone a bit, sing a scale around each tone. This is super powerful. You will feel it even if you aren't playing with the tones like I do. This alignment can be repeated as many times in a day that you feel it's necessary. And you can use it to center yourself whenever you're off kilter (balance). I hope you enjoy this video. Please comment your experiences with this tune up. If you have questions on chakras, comment below. And I love interaction, so let me know what topics you're interested in reading or watching. I have a list of topics for your inspiration in the descriptions on my YouTube videos at Bridget Renee Holliday.